Most moms with young children struggle to find a little peace and quiet for themselves in the midst of their hectic days, and setting aside time to spend with God can be even harder. They need devotions that fit their busy schedules and meet them where they are. Lorilee Craker's short readings are just right for these moms. She lends her engaging writing style to personal stories that moms will find encouraging, often funny, and oh-so-familiar. Each reflection is related to a biblical truth and bookended by a verse at the beginning and at the end. 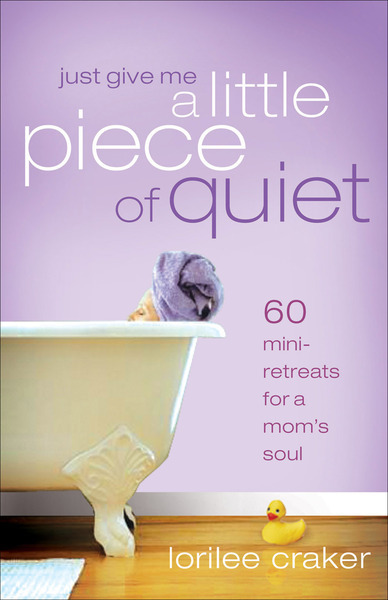 Just Give Me a Little Piece of Quiet invites moms to retreat from the day's pressures and be refreshed for tomorrow's possibilities.